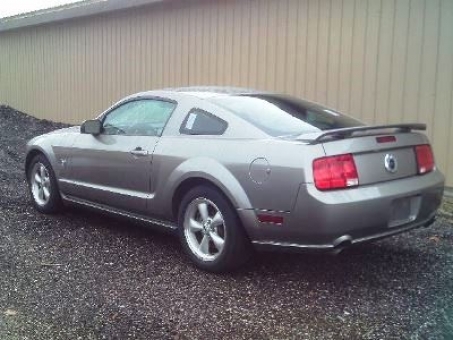 Two-Door 2009 Ford Mustang - GT; Vehicle exterior is silver with gold leather interior and is five speed manual with power doors, power locks and CD player. This is a forfeit lot, fact that influenced the price. Car Auction Florida is the largest provider of automotive auction services in your area. We hold plenty of online auctions and live auto auctions on our site, specializing in car auctions in Florida, car auction Miami, south Florida auto auction, car auctions in Florida open to public, Orlando car auction, Tampa auto auction etc. Research vehicles for sale online, then bid on a car from the comfort of your home or office via Repokar Auto Auction's handy bidding system and win the car of your dreams on our online auctions. Car Auction Florida has set high standards for buying and selling vehicles at public auto auction, so that you can bid with confidence and be sure that you get the most attractive and profitable car deals in Florida and its surroundings. Using our new and improved search features, you'll find the right car easier than ever before, searching our extensive range of quality new or used vehicles for sale. Choose the best local auction offers, deal with Car Auction Florida!